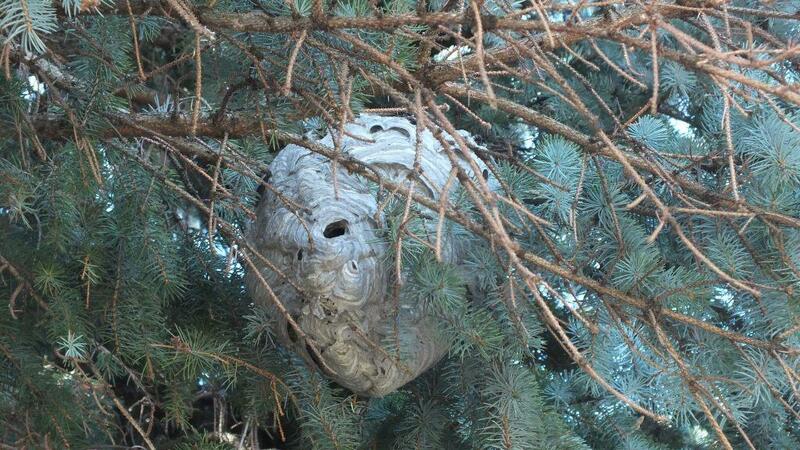 I recently discovered a bald-faced hornet nest in the blue spruce that overhangs my driveway. The basketball size paper orb hangs ten feet above the ground, tucked a few feet in from the end of its branch. It’s a gorgeous complicated structure, built of layers and folds, scallops and creases that rival a royal gown. It’s one of those things that the more you consider, the more mystifying it becomes. I’ve thought quite a bit about this and have written a guest post over at The Center for Humans and Nature Blog: City Creatures. Check it out here: Mindful Acts of Pesticide. And when you come back, so that you aren’t discouraged by all the hate being poured on hornets, wasps, and other creatures, take a look at these videos made by some more enlightened folks.